On this night, 147 years ago, Lincoln was assassinated. As a blog committed to the study of Lincoln’s assassination, attention to this fact must be paid. However, instead of writing about the events of the day or the reaction from the public about the news, I’d like to give some attention to the event that drew the Lincolns out that night. Ford’s Theatre is not the only thing that will forever be linked with the death of Abraham Lincoln. Such an association is also shared by the play that was performed on this night so long ago: Our American Cousin. Our American Cousin was written by English playwright Tom Taylor in 1852. Taylor and many other Brits at the time were fascinated with the American way of life and the unique differences that had developed between the two countries since the Revolutionary days. Taylor picked up on new American vernacular like, “guess” instead of the British “suppose”, and slang like “skedaddle”. 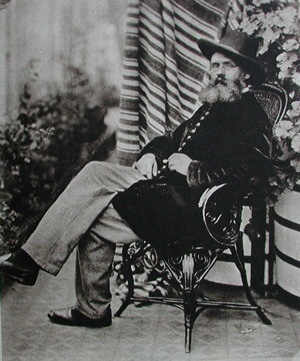 While his American character, Asa Trenchard, spoke and acted in a stereotypically un-English way, the character also had a strong sense of morality that conquered these “faults”. The play tells the story of the culture clash between the Trenchard family of England and one of their distance American relatives. A thorough synopsis of the play can be found here. While Taylor was known for creating popular plays – and would go one to write more than 75 during his lifetime – at first he was concerned how well this play would be performed. After finishing the play, Taylor sold it to producer Benjamin Webster for 80 pounds.Webster was the theatrical manager and producer for the Adelphi Theatre in Westminster. During this time the Adelphi Theatre was hosting the American actor Joshua Silsbee. 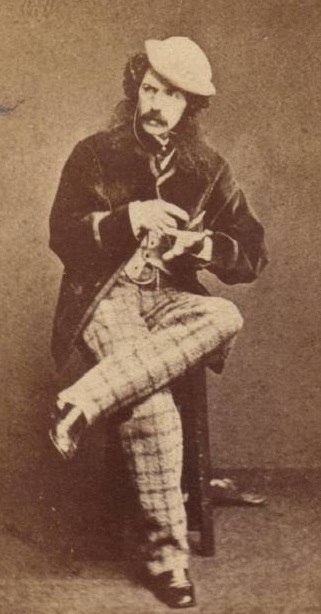 Known as the “Yankee” Silsbee, British audiences enjoyed watching him portray American characters. Somehow, Silsbee got a copy of Taylor’s play and began studying the Asa character in preparation to perform it. Both Webster and Taylor did not feel Silsbee could accurately portray the title character. As time went on, Webster and Taylor both decided that the play was not going to work well at that theatre. It was never produced. In 1855, Webster traded the play and its rights back to Taylor in return for another piece. At this point, Taylor made a few changes to the piece. Most noticeably Taylor moved some text around to change it from a two act play to a three act play. In autumn of 1858, Taylor was once again looking to sell his play. He enlisted the help of a London Times correspondent posted in New York to help him sell the rights in America. Through another intermediary, the play got into the hands of British-born actress and theatrical manager, Laura Keene. Though relatively unimpressed with the melodrama, Keene ended up purchasing the play for $1,000 from Taylor. She received Taylor’s new three act manuscript, taken down by his wife, in September of 1858. Keene casted the roles of the play with actors she knew well from her company. Actor Joseph Jefferson was given the lead actor role of the American, Asa Trenchard. Laura Keene took the lead actress role of Florence Trenchard, Asa’s kind English cousin who is the object of the villain’s affection. Laura had to practically beg a young British actor in her troupe, Edward Askew Sothern, to take the small role of Lord Dundreary. At first he refused the minor role with only 47 lines, but later agreed when Keene agreed he could add gags to his performance. Even though he agreed, he still thought the role and play were pretty bad. Together, Keene and Jefferson made many changes to Taylor’s manuscript. Considerable dialogue was removed and edited. In addition, they changed the hometown of Asa Trenchard from Pontiac, Michigan to Brattleboro, Vermont. The debut of Our American Cousin occurred on October 15, 1858 in Laura Keene’s Theatre in New York City. The play proved a success. The alterations made by Jefferson and Keene, along with the ever increasing gags of E. A. Sothern, altered the play from a melodrama, to a comedy. Instantly it became one of the most popular plays in New York and ended up running for 150 nights. The success of the play, however, was not without its downside. 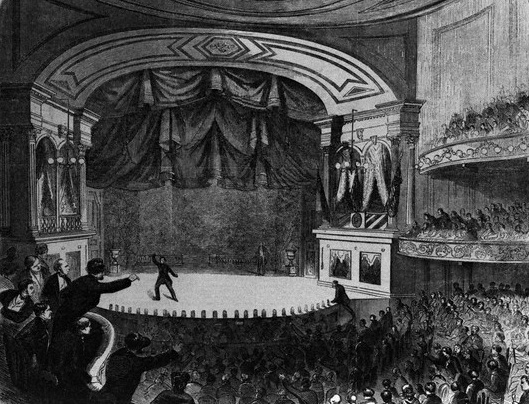 On November 22, 1858, the Arch Street Theatre in Philadelphia began performing Our American Cousin. Just like today, theatre producers in the 1850’s could license their plays to others theatres for a price. The ongoing success of the play allowed Laura Keene to do just so years after its debut. These performances in Philadelphia, however, were not sanctioned by her and so she brought a suit against the two managers of the theatre, William Wheatley and John Sleeper Clarke. 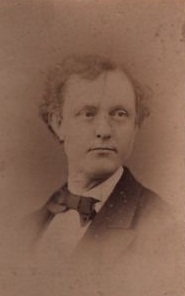 John Sleeper Clarke would marry Asia Booth, John Wilkes Booth’s sister, in April of 1859. Keene filed a sanction against Clarke and Wheatley to stop them from performing her play. But, just like it was in New York, the play was a success in Philadelphia. Clarke and Wheatley denied any wrong doing and, to avoid having to halt performing the play during the ensuing litigation, they paid Keene a licensing fee and set aside a court fund from which to pay Keene if they lost the suit. The case was a very drawn out affair and actually caused unique challenges to Laura Keene’s ownership of the play. At this point and for several years after in fact, the play had not been published. Keene’s troupe worked off of the handwritten manuscript she had received from Taylor. Taylor, himself, had sold the rights to Keene and so never published it either. Had Keene published the play, she would have had a case under copyright but this did not happen. Not only that, but the play was written by a non U.S. citizen and, at the time of the suit, Laura Keene had not yet gained her own American citizenship further complicating matters. The main problem for Keene, however, was where Clarke and Wheatley got the play. Remember Josh Silsbee, the American actor in England? When Silsbee returned to American, he brought Taylor’s original version of Our American Cousin with him. This copy of the play is the one that he mysteriously got his hands on, even though both Webster and Taylor denied giving him one. He wanted to perform it (and may even had rehearsed it a couple of times in the States) but it never happened. Silsbee died in 1855 and his estate, along with the copy of the play went to his wife. Somehow, after Our American Cousin became such a hit in October of 1858, Clarke and Wheatley learned of the widow Silsbee’s copy. They entered into a deal with the widow’s new husband, a Mr. Chapman, from which they purchased the play and rights to it. According to their side of the story, Josh Silsbee was actually given the American rights to the play when he left England by Mr. Taylor himself. Moreover, Silsbee helped Taylor write the play based on his knowledge of “Yankee” characters. 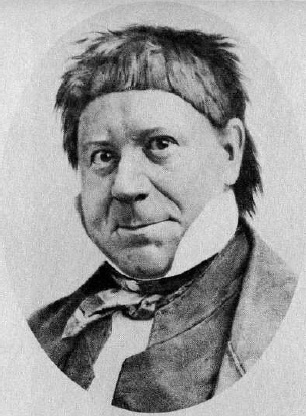 Silsbee’s widow testified that the play and the rights to it were turned over to her late husband by Benjamin Webster as partial compensation for Silsbee’s time at the Adelphi Theatre. Clarke and Wheatley held on to their side of the story maintaining that, while Keene did purchase the rights from Taylor, at that point in time Taylor did not have the rights to the play anymore having sold them to Webster who gave them to Silsbee. The suit was an ordeal that lasted years. In the end, Keene was saved by her own alterations to the play. Clarke and Wheatley, while owning a copy of the original play, copied Keene’s performance to the letter. The original play was in two acts, the main character was from Michigan, and the laughable gags of Lord Dundreary were nowhere to be found. Clarke and Wheatley stole the unique features of Keene’s version (the ones that made it a success) and ending up losing the suit. However, due to the difficulties regarding actual ownership, the judge only required Clarke and Wheatley to pay $500 to Keene for taking her specific alterations and for her court expenses. The judge never actually decided on Keene’s ownership of the play. This would come back to bite her later. After the events of April 14th, you would think John Sleeper Clarke, John Wilkes Booth brother-in-law, would have wanted to avoid any connection with the assassination. Instead, in September of 1865, he was up to his old tricks, this time producing Our American Cousin without a license in the Winter Garden Theatre in New York. Keene, once again, filed a suit against Clarke and his new compatriot theatre owner William Stuart. She attempted to use the verdict from the 1858 case as proof of her ownership and that Clarke was forbidden from producing Our American Cousin. She even dropped the suit against William Stuart so that she could more effectively go after Clarke. Again the idea of the play’s ownership came up with the stalemate occurring between Keene and Clarke’s copies of the play. Clarke, in a desperate move, attempted to convince the judge that the $500 paid earlier gave him the right to license the play. 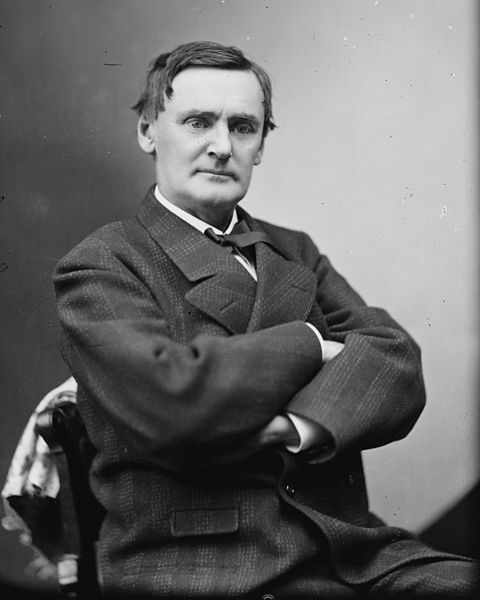 The judge then found in favor of Keene stating that, if that was the case, then producing the play at this different theatre in New York would have required Clarke to purchase a new license. Clarke left for England, never to return, shortly thereafter. Our American Cousin was both a success and a tragedy for Laura Keene. It was a popular play that enjoyed a period of profitable longevity rare for plays of the day. 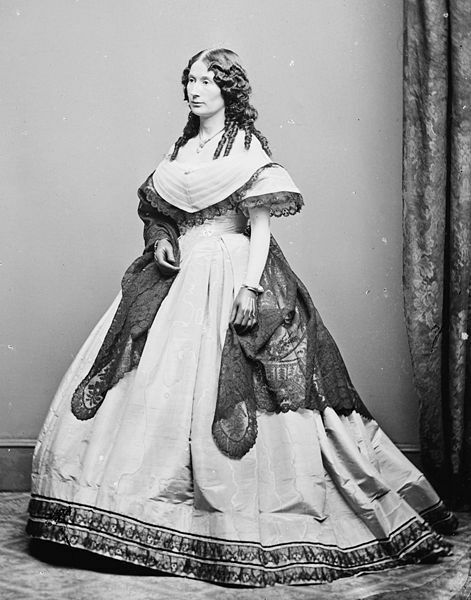 However, the popularity of it not only led Laura Keene into lawsuits, but also compelled the Lincolns to Ford’s Theatre on this night 147 years ago. For this reason, Our American Cousin lives on. This was fascinating! Love your blog- keep it up. Thanks, Julie. I’m glad you’re enjoying the blog. When I started working on this post I had not idea about the legal events surrounding the play. As I researched for some background information about it, I came across a mention that the play was first sold to a man named Webster who never produced it. Next thing I know, I’m reading through 75 pages of legalese about Laura Keene’s initial suit again Clarke and Wheatley. My research and writing on this post took so long, I almost didn’t get it posted before the end of the 14th! I had started it as an easy project in the afternoon, and didn’t get it posted until around 11:15 pm. It’s always an adventure. Do we know the copyright status of the play today/ Is it public domain? I have the original printed copy from 1869 and a signed letter by Tom Taylor. Never saw one before. I’m a civil war collector. The Surratt House Museum also has a framed copy of a signed Taylor letter that was donated years ago by the late-collector, Donald Dow.